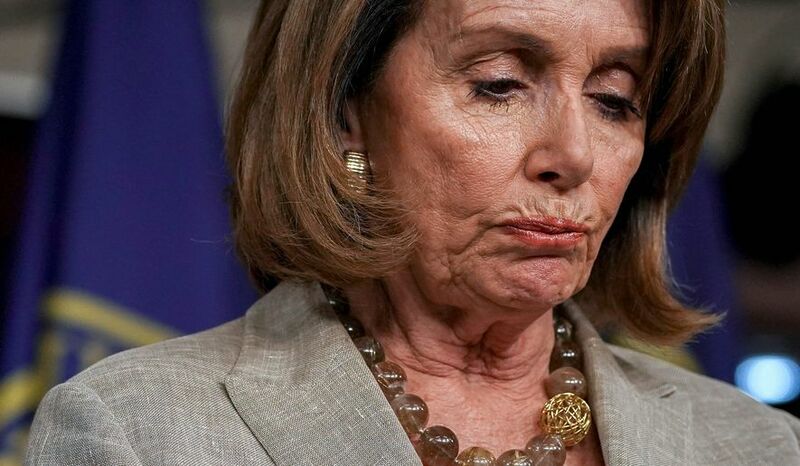 Nancy Pelosi is hungry to be Speaker of the House again. And if the pundits are right, it’s well within her reach. But that was before the latest news derailed her high hopes. Pelosi is working to flip 23 House seats for the Democrats. If she succeeds, she’ll be the next Speaker. Then her biggest goal will be to impeach President Trump. That’s the Democrats’ self-declared goal. But even the mainstream media are starting to downgrade the Democrats’ chances of taking control of Congress. NBC reports that Republicans are outpacing Democrats in early voting states. Republicans are up 11% over Democrats in Arizona, 6% in Florida, and 12% in Indiana. In Montana, they enjoy a large margin of 17%. And in Tennessee, Republicans lead with a stunning 33% over the Democrats. These early voting voter numbers are changing everyone’s view of the race. That’s because it is a complete reversal from earlier polls. Going into 2018, Democrats had a lot of energy and drive. They were beating Republicans in the key enthusiasm poll by 10%. And until the Democrats’ failed plan to block Kavanaugh, Republicans had much to fear. But the story has changed. Now, it looks like their efforts to smear Trump’s nominee might have backfired on them. Republicans are energized and motivated because of the Kavanaugh battle. The lead Democrats enjoyed over Republican was cut down to just 2%. And poll numbers are indicating Trump’s approval will continue to climb. Combine that with the news of a booming economy and it appears as though the blue-wave may fade away before November. All of this is being influenced by President Trump’s behavior. Despite the backlash, Trump stood by his SCOTUS nominee and saw him through his confirmation. Trump’s economic policies have seen a tremendous boost to the economy. And just like 2016, if the Republicans hang on and still control Congress, it will be because of Trump’s results. Will the Democrats’ Plan to Impeach Trump End in November? If Democrats are to impeach Trump, they need a majority in the House and a firm grasp on the Senate. It’s been key portion of their plan to take back the White House in 2020. But it’s still a toss-up if they’ll win Congress. The post-Kavanaugh surge might have sealed the Democrat’s fate. Real Clear Politics is averaging a pick-up of one additional Senate seat for Republicans. That would bring their total to 52, and Republicans continue to gain in Senate polls in Arizona and Florida. I would say shocking but this is honestly exactly what I would expect from them. I¦ve learn a few good stuff here. Definitely worth bookmarking for revisiting. I surprise how a lot effort you place to create this kind of great informative site.